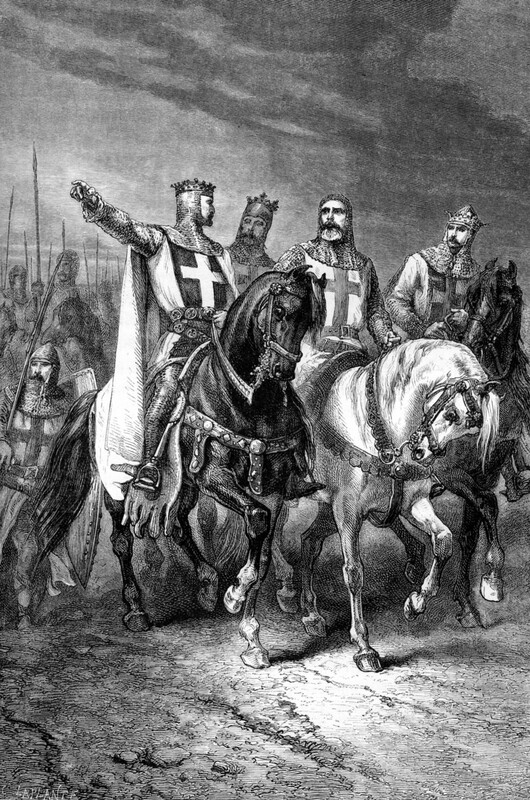 The first half of the XIXth century was a particularly favourable era for the study of history. After the unprecedented events which, between 1789 and 1815, had radically changed France and Europe, it was the responsibility of the new generation to make sense of what had happened and to understand the world they were entering into to be able to take the appropriate action. For this liberal younger generation, within which Guizot was considered an elder, access to politics had been made extremely difficult with the hardening of the Restauration. Augustin Thierry, Thiers, Mignet, Michelet turned to history, which from that moment onwards, much more than philosophy, appeared as the working instrument of knowledge of the world, of society and of man himself. 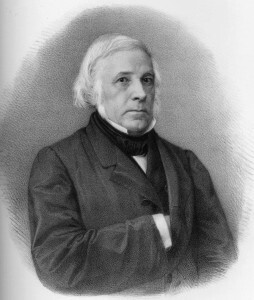 When, after a break of five years, Guizot resumed his teaching at the Sorbonne in 1820, he gave lectures in the history of the origins of representative government, a topic that was not unconnected with the politics of the time, and when he regained the chair from which he had been removed in 1822, he chose to address the subject of the history of civilization in Europe, then in France. Once again, the idea was to show, with intellectual rigour, how western societies, and primarily the French one, had made themselves into nations over the centuries and had acquired the institutions necessary to uphold their emancipation. The concept of history of civilization, which Guizot is rightly considered to have invented, proved to be particularly relevant: he said at the time to his captivated students, “It is the summary of all histories; it requires them all as material, as the fact it relates is the summary of all facts”. A sort of total history. Like his historian colleagues and friends, Guizot was obsessed with the question of the French Revolution which had personally affected him through the execution of his father. However, contrary to Mignet, Thiers, and later Tocqueville and Michelet, he did not address it directly, preferring to first look at England. 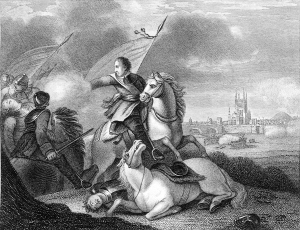 As early as 1823, he undertook the study of how representative government, or in other words constitutional monarchy, developed and therefore how the Revolution had succeeded in England between 1640 and 1688, whereas it had failed in France between 1789 and 1815. Guizot devoted six volumes to this project, which were published from 1826 to 1856, not to mention other ancillary publications, the main one being the Discours sur l’histoire de la Révolution d’Angleterre, (Discourse on the history of the English Revolution) written in 1849 and at the head of the first volumes republished in 1850, one of the most powerful political history texts of our literature, which began with these words: “ I would like to set out the causes which have given to the constitutional monarchy in England, and to the republic in English America, the solid success that France and Europe are still vainly seeking, through these mysterious trials of revolutions which, endured positively or negatively, make nations grow or lose themselves for centuries”. Thus in Guizot’s eyes, history and politics are never very far one from the other. However, they do not make good bedfellows and he never used one to the advantage of the other, just as the statesman did not subsume the historian: it was often rather the opposite. His actions within the government proved this: undoubtedly, it was with the intent of legitimizing the July monarchy and to attach it to national continuity that he promoted the study of the history of France, but he acted as a historian by providing the material and the means for carrying out this undertaking. 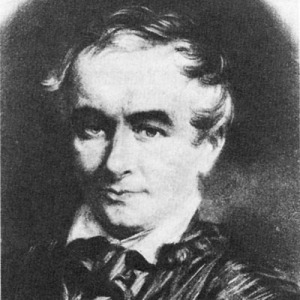 Already between 1823 and 1826, he had directed the publication of a Collection des Mémoires relatifs à l’histoire de France depuis la fondation de la monarchie française jusqu’au XIIIe siècle (Collection of the memoirs relating to the history of France from the foundation of the French monarchy to the XIIIth century) comprising twenty-nine volumes of translation still referred to today. 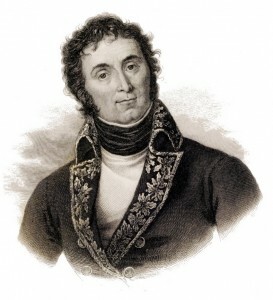 As Minister of the Interior in 1830, Guizot obtained the creation of the post of General Inspector of Historical Monuments, given to Vitet, then to Mérimée . Three years later, as Minister of Public Instruction, he sponsored the establishment and development of a Societé de l’histoire de France, of which he was president from 1866 following the death of his friend Barante, and the object of which was to “popularize the study of and the taste for our national history in a path of sound criticism and above all, through research and the use of original documents.” And in fact the Society, which still exists, published from 1841 documents as important as the complete trials of Joan of Arc, with all possible scientific rigour. But national history was, from all points of view, a matter too important to be left in the hands of private initiative alone. The State became directly interested. In 1833 Guizot, as Minister of Public Instruction, wrote in a report to the king: “It is for the Government alone to accomplish the great work of a general publication of all important and still unpublished material on the history of our nation”. The deputies voted the budget necessary to launch this operation of unprecedented ambit. Then, in July 1834, the minister set up under his auspices, a “Committee charged with directing research and publication of unpublished documents relating to the history of France”, which still exists under the name of the Comité des travaux historiques et scientifiques (Committee of historical and scientific works). 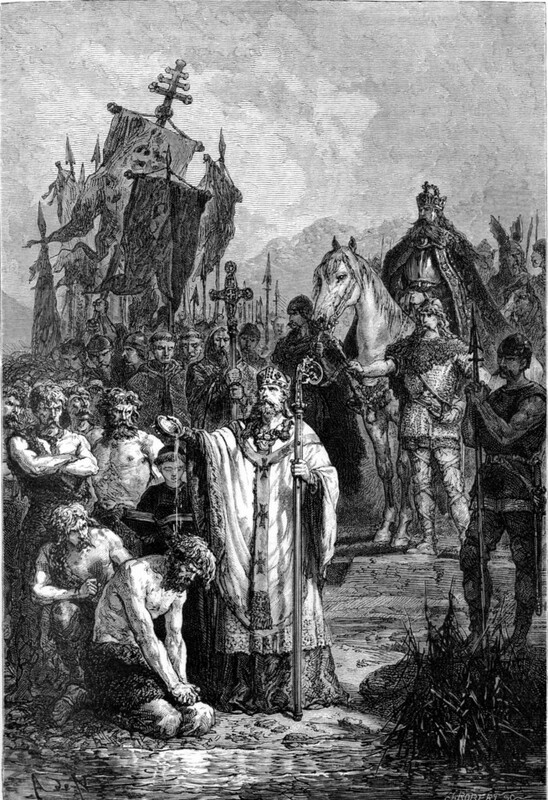 The minister presided it ex officio, together with eleven members including Villemain, Daunou the General Keeper of the archives of the kingdom where Guizot had appointed Michelet head of the history section, Mignet and Vitet, and also pure scholars such as Champollion-Figeac and Guérard. Most of them also belonged to the Board of the Société de l’Histoire de France, destined, as well as other learned societies, to work together with the Ministry. A complete strategy was developed to identify, collect, classify and publish documents worthy of interest. Augustin Thierry, who was Guizot’s friend, was appointed to direct the collection of charters granted to the communes and medieval corporations, in order to “bring to light the numerous and diverse origins of French bourgeoisie, i.e. the first institutions which served to free and elevate the nation”. Ideology was not far off, but the publications, which appeared from 1835, met the requirements of erudition. In the same year, Guizot created a second committee “mandated to assist in the research and publication of unpublished monuments of literature, philosophy, science and arts considered in their relations with the general history of France”. This turned the history of civilization into a governmental programme. Victor Cousin, Mérimée, Victor Hugo, Sainte-Beuve were called upon to become members. Thus Guizot, also a pedagogue in politics, endeavoured to create national memory, not by commemorations but by the exercise of the scientific mind. This scientific mind, given the means available at the time, was indeed his historical trademark, far more so than that of Augustin Thierry or Michelet, who were less rigorous and more passionate. Guizot used footnotes, i.e. reference to the sources, very early on, when it was not in usage even in serious works. The critical apparatus of the Histoire de la Révolution d’Angleterre was in this respect a model of its kind. Guizot referred as far as possible to first hand documents which he procured through his ever increasing network of relationships. He kept his bibliography completely up-to-date, using the most recent or reliable edition. Even the Histoire de France racontée à mes petits-enfants demonstrated that he knew and used the most recent works. This requirement for precision and information meets the very idea he had of history, made up, he wrote in 1828, of three parts: « The facts themselves, external, material; natural forces and laws, general, unchangeable, in accordance with which facts bind together and change; the free acts of man himself, moral life of individuals within the social life of humankind”. There is consequently a determinism in his approach which, without being mechanistic, tends to search for the causes of the history of men in society in the deep forces which shift societies, rather than in cyclical accidents or individual characters. 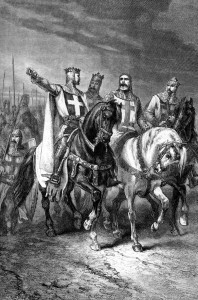 “Truly public history, he wrote, is that of men who have no history”, it is not principally that of great men, amongst whom Guizot only really distinguishes four: Charlemagne , Cromwell, Washington in particular about whom he wrote an essay, and Napoleon. Paying attention to economic and social factors to the extent that he appeared in Marx’s eyes the historian of class struggle, Guizot is also not far from what will later become the history of mentalities when he wrote about the Merovingian era: “Are these beliefs from the cradle of peoples, these monuments of their lively and naïve credulity, less peculiar to study than the clear and certain events of their political careers? These fables teach us much more about the state of mind and morals than those chronicles with no miracles, where nothing but a few dates and names are to be found.” Determinism – which was then called fatalism – which drives the thoughts of this convinced Christian, led him to leave aside any providential intervention in the evolution of human collectivities: history such as he relates and analyses it, does not obey any divine project which is observable, even if it probably exists. Events carry within themselves their own explanation and this is why history is a domain which is accessible to intelligence and reason. And Guizot, careful to dismount and demonstrate the necessary chain of causes and effects, is no storyteller. He delivers history lessons rather than developing a story to entertain and to please. It is not that he is unable to use the art of the portrait, nor that he neglects the description of groups, places and also feelings. He is capable of going into detail, relating an anecdote, of setting out a dialogue. But he never yields to the temptation of embellishment which leads to fiction. His style, sometimes underpinned with formulae, is always masterly and never stoops to exaltation. He is led, above all, by the necessity for clarity. The influence of Guizot as a historian is immense : Michelet, Tocqueville, Marx, Taine acknowledged their debt to him, and he attracted many young people to history, whether or not they had been his students in 1828, as Montalembert gratefully wrote to him. He brought the conception and practice of history into the modern age and gave France institutions of history and memory with which it still lives. “If this assertion seems paradoxical in our time which is too hostile to Guizot” Camille Jullian wrote in 1897, “it is perhaps he who, without always succeeding, made the best effort to be strictly a historian”.